Lotus has a long history of producing competitive sports cars. Lotus used the Elise model to create the new Exige. The Exige sports a composite roof, aerodynamic alterations and a high revving petrol engine designed with performance in mind. 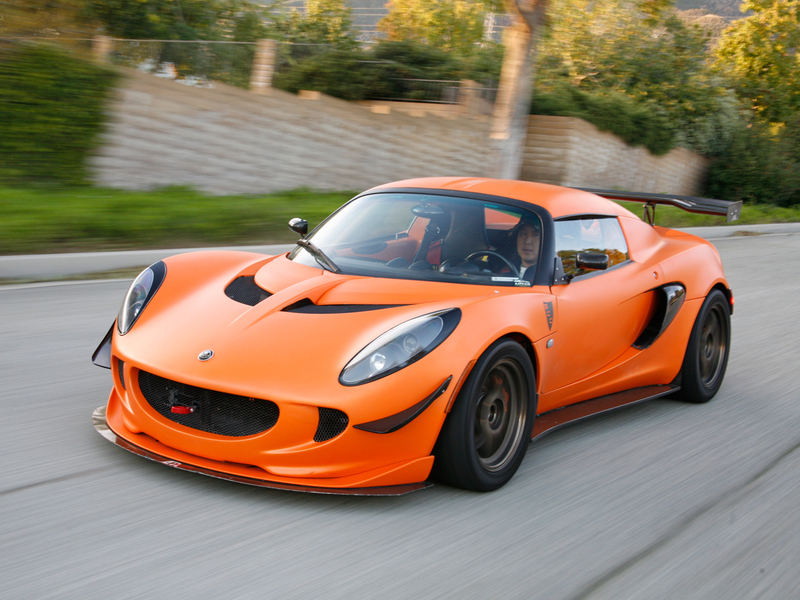 Exige models have received many enhancements geared toward increasing the car’s performance and usability. The car’s exterior design has under gone very few changes since the car’s original design. It boasts the same low stance, aerodynamic aids and the same curvy shape that make it quite unique. One change was the addition of LED rear lights, which not only look better but also give the car an obvious safety advantage. The car’s interior now has ProBax seats on all models. Designed specifically with posture and comfort in mind, and claim to improve posture, comfort and alertness. Cabin noise has successfully been reduced to a minimum, and the new pedal box reduces pedal travel and produces smoother responses. The new Elise and Exige are available with Sport or Touring packs. The Touring pack provides electric windows, black suede interior, carpet, sound insulation, and a CD/DAB tuner. The Super Touring pack provides twin airbags, more storage and leather trim. The Exige S model uses a supercharged version of the existing 1.8-litre petrol engine for extreme performance. The car is produced in limited numbers and comes with an extremely high price tag. The Exige is an expensive car to purchase, but considering the amount of performance that the car delivers the price is fairly reasonable. Running costs will be reasonable as well, but insurance will definitely be on the high side. Driven conservatively the efficient 1.8-litre petrol engine can deliver decent fuel economy. Space is definitely limited in the Exige. The car only holds two passengers and provides adequate head and legroom for both passengers. Elbow room may be limited as well as cargo space. The boot may hold a bag or two but not much more. The simplicity of the cars controls and displays is refreshing. The basic controls are functional and easy to use. There isn’t anything complex or exagerated about the car’s controls. The cabin successfully minimizes engine noise, but other noise does filter in especially at higher speeds. The car was designed more for performance than comfort so this shouldn’t bother anyone too much. The seats are reasonably comfortable but may cause some discomfort on longer trips. Access to the Exige can be very limited. Narrow door apertures and low seating positions can limit access for some passengers. The car’s boot is small and has a small aperture. Accessing the boot is not difficult but finding something small enough to fit in the car’s boot may prove to be somewhat difficult. This is not the easiest car to park. Rearward vision is limited, and steering is heavy at low speeds making it somewhat of a challenge to park. The Exige has terrific driver appeal. The car was designed to providea pleasing driving experience for enthusiastic drivers. The 1.8-litre engine has sharp throttle response, and provides very smooth acceleration. Above 6,500rpm however that the engine switches to the high lift camshaft and delivers an enthusiastic burst of acceleration. The steering is direct, and provides excellent feedback. This would definitely not meet the needs of a family as the primary car. The lack of space and practicality more than rule the Exige out as a family vehicle. It might be used as a second car to run the occasional errands, but since it is only a two-seater it may have a difficult time meeting the family’s needs as even a second vehicle. This is also not a car for novice drivers. Even if a newly licensed driver could afford the car and the insurance, the car is probably too powerful and the steering will require some experience. Not to mention the car provides poor rear visibility as well. The car provides a good quality build and uses quality materials in the cabin as well. Lotus has no problems when it comes to image both on and off the race track. The Exige is yet another testimony to the company’s credibility. The Exige comes standard with an alarm including remote central locking, and an immobilizer. Anybody who is interested in the high desire of such a car may be interested in buying a tracking system. Although the Exige has many traits that provide much safety, such as great grip, acceleration and braking performance, other extras are also available such as traction control. Seeing as the car does not come standard with air bags buyers may want to add them as an option for the Exige, along with four point seat belts. The DAB unit comes fitted with the Exige provides great sound quality and good station reception in either FM or DAB mode. However the size and placement of the system can make it difficult for the driver to operate. The touring pack comes with a suede finish to the dash board, which reduces reflections and gives the cabin a more classy touch. The rest of the interior surfaces are either silver or black in plastic or bare aluminum. The Exige is a dynamic performance car that can blow away even the best competitors. The car is clearly designed for performance but has successfully addressed many comfort issues and offers outstanding refinement. The car requires an experienced driver and delivers an exceptional performance.